Dickie Brown started 18 gamers for High Desert in 1994. One of them got him into the High Desert record book, according to MiLB.com. Brown ended up striking out 13 batters in that game. Through 2007, he was one of just three High Desert to do that, MiLB.com wrote. Brown went 6-6 overall for the high-A team that year. It was his fifth professional season. He went on to play as a pro in three more seasons. He never saw the majors. Brown's career began in 1990, taken by the Indians in the 42nd round of the draft out of Connor State College in Oklahoma. Brown played his first season at rookie Burlington. He went 3-4 on the year, with a 5.75 ERA. 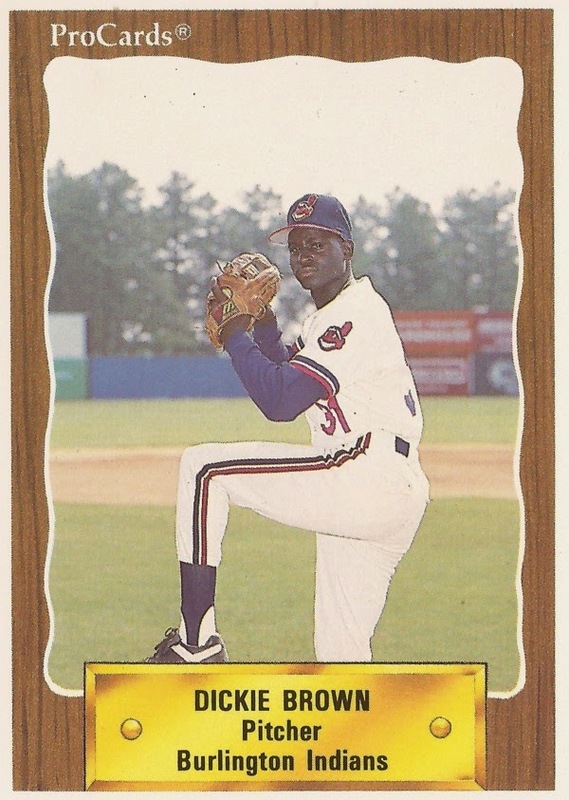 He moved to single-A Columbus in 1991 and high-A Kinston in 1993. He got into 31 outings, eight starts at Kinston, with a 3.29 ERA. Brown played 1994 between Kinston and High-Desert. In 1995, he hit AA for the first time, at Canton-Akron. He went 8-5 at Canton-Akron in 37 outings, nine starts, with a 4.67 ERA. He also saved three games. Brown then started 1996 back at Canton-Akron, but only got into six games. He also got into five games with the Brewers at high-A Stockton and spent time with independent Newburgh and Grand Forks. His final season came in 1997 back at Grand Forks. He went 6-2 over 15 starts, ending his career.